The national juried biennial exhibition delecTABLE: The Fine Art of Dining opened April 6th at The Art Students League of Denver. 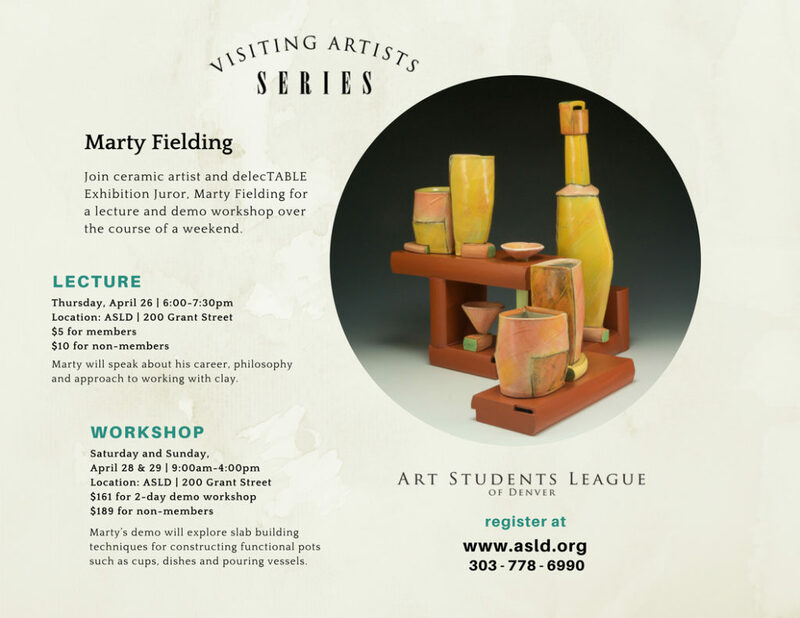 FSU Adjunct Professor Marty Fielding juried the show from over 300 submitted works. Fielding will travel to Denver to give an artist talk, present juror’s awards, and give a 2-day workshop for the closing events of the exhibition. This is the fourth installment of delecTABLE. The exhibit showcases excellence in utilitarian ceramics from across the US. Artists chosen for the show represent a variety of established, emerging, and student ceramists. Ceramics Monthly magazine devoted a page in the Exposure section of the current issue to publishing images of work from the show.